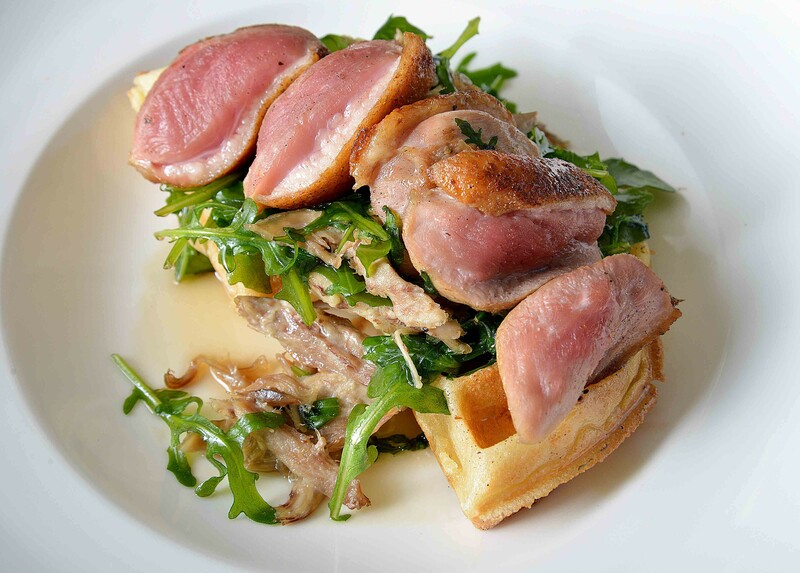 The duck and waffles is just one of many gluten free dishes for those with allergies or diets. 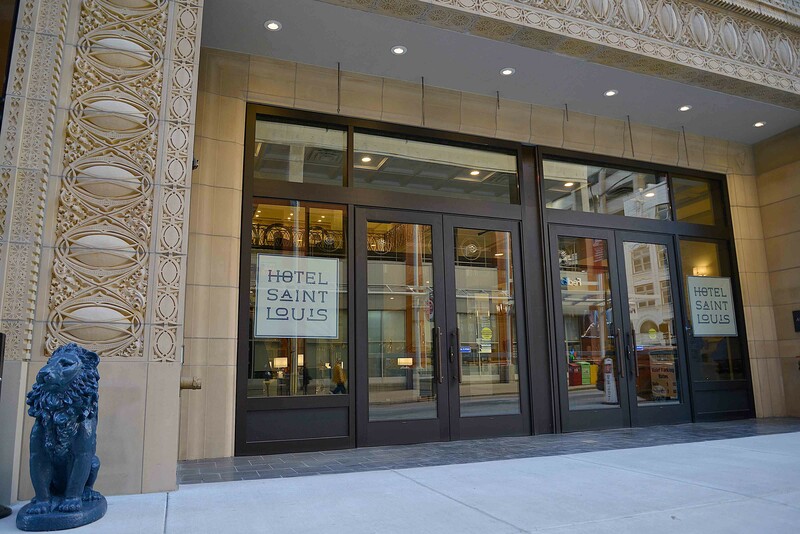 Following a $68 million renovation, the former Union Trust Building designed by famous architect Louis Sullivan is in the first weeks of housing a new inhabitant — Hotel St. Louis. 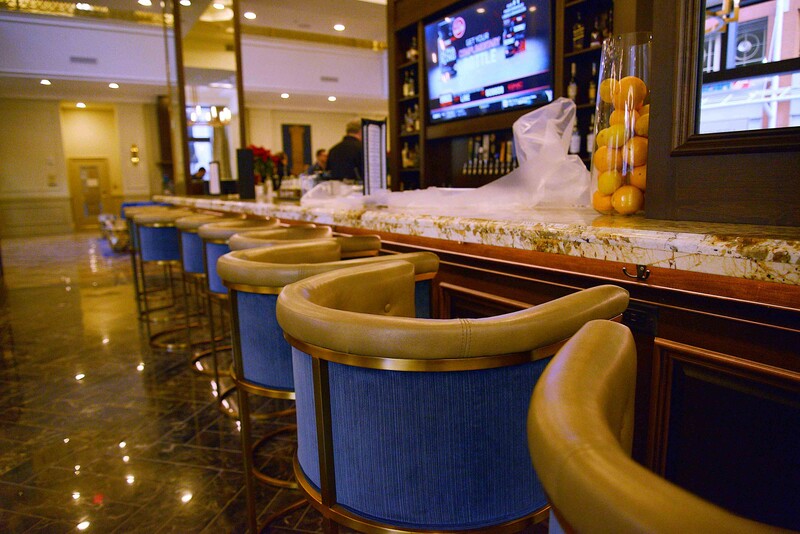 Constructed between 1890 to 1892, the luxury hotel now features a restaurant, Union 30 (705 Olive St., 314-241-4300), adjacent to its palatial first-floor lobby. Diners walk under an expansive stained-glass skylight, passing ornate golden elevators that are original to the building, in order to enter the restaurant. Massive chandeliers and nearly floor-to-ceiling windows help illuminate the eatery's space, which is open from 6:30 a.m. to 11 p.m. to hotel guests, passersby and the otherwise curious. The fare takes its inspiration from comfort food, but aims to add a touch of eloquence in both presentation and preparation. "Picture, if you will, your grandmother going to culinary school. What would she make?" Executive Chef Matt Birkenmeier says. Despite the all-around extravagance of both food and surroundings, there are signs to remind patrons of home. Napkins and flatware may be among them: They were all found at different sources of used wares. "I can't wait for someone to tell me [the flatware] is their grandma's, you know? I spent the last year and a half combing every resale shop," says Amy Gill. Gill and her husband, Amrit, are prolific urban developers under the name Restoration St. Louis; they also now own Hotel St. Louis. "I wanted to remind people of their homes, things that bring them to St. Louis." Of the staff, she adds, "I wanted to put everybody's high schools on their name tags, but they wouldn't let me do it." The food also pays homage to St. Louis. 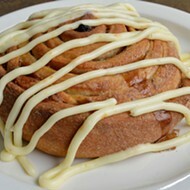 Throughout the breakfast, lunch and dinner menus, local purveyors are highlighted. 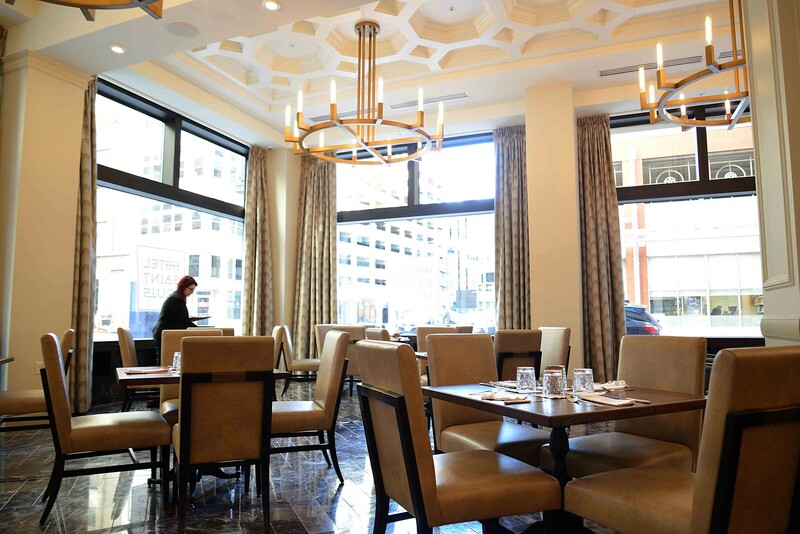 Union 30 takes its moniker not only from the old Union Trust occupants, but also from the metaphorical union between St. Louis businesses and the restaurant. More than 128 local vendors, from farmers to chocolatiers, sell their items to the restaurant and hotel. 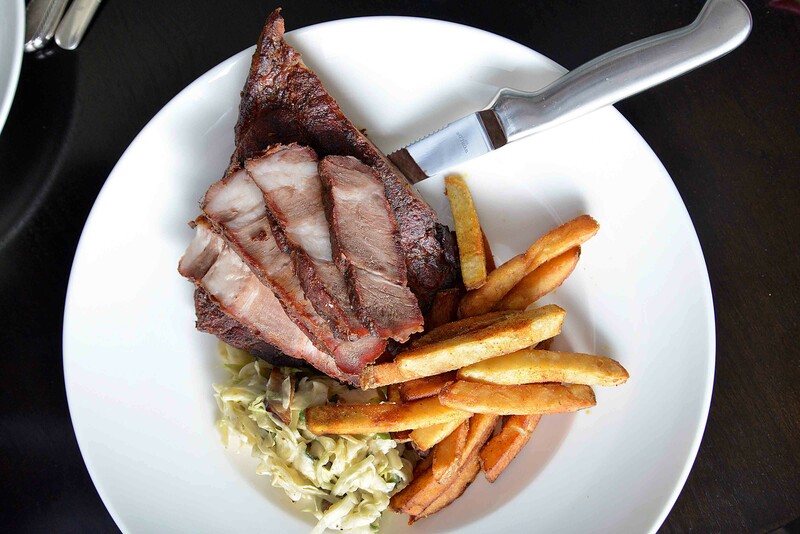 The 2" Thick Bone in Dry Rubbed Smoke St. Louis Pork Steak is one of Chef Birkenmeier's daily barbecue specials for $19. 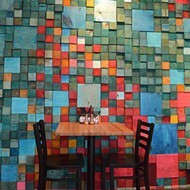 For lunch, for example, the eleven "sammaiches" and burgers all rely on products from local farmers. 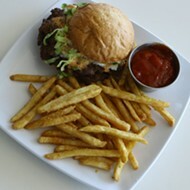 The gluten-free chicken burger alone features a chicken patty from Buttonwood Farms, tomatoes from Tony's Family Farms and a bun from New Day Gluten Free. On draft is a 4 Hands pilsner made especially for (and called) the Union 30. (It's similar to City Wide, according to Birkenmeier.) Twenty local craft beers are paired with the breakfast menu, a carryover from Birkenmeier's "Kegs N Eggs," days at Quincy Street Bistro. But despite the craft beer emphasis, "you can still find a Corona laying around or have a Busch on tap," Birkenmeier says. "This is St. Louis after all." Red and white wines and a slew of craft cocktails are also available. Birkenmeier, who has cooked in town and abroad, was previously familiar with sourcing locally, but says it was never quite on this scale. "I did a lot of farm-to-table at Quincy, but with the [hotel's buying power], I get a little more flexibility to do some of that extra stuff," he says. "That really just kind of blossomed my creative thoughts." Birkenmeier worked with Hotel St. Louis Executive Chef Bernard Pilon to design the menus for Union 30. Of the chef, Birkenmeier says, "He loves my barbecue and incorporating that into lighter fares when we can." The combination of Birkenmeier's training in burgers and comfort food with Pilon's background in French cuisine is evident in dishes such as the duck and waffles. A playful take on chicken and waffles, the dish features muscovy duck breast seared in cast iron and served over a gluten-free waffle. It's rare for two established chefs to coexist so constructively together, but their dynamic has been nothing but, Birkenmeier says. "I have great strengths and he has great strengths," he says. "Together we've formed a great collaboration and I think it really lends to what we're wanting here." Between the bar, booths and tables, Union 30 seats around 100. 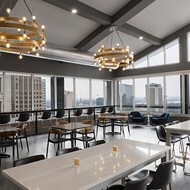 Pilon will largely work at at Form, a sky bar on the roof of Hotel St. Louis, set to open in late February or early March. Named after architect Louis Sullivan's famous quotation that "form follows function," the rooftop watering hole will feature a view of nearby Busch Stadium and other skyline landmarks. Union 30 and Form are opening in the heart of downtown at a time when other restaurants (Porano Pasta, Copia) have pulled out to much hang-wringing. But while others may have concerns about investing in the heart of the city, the Gills do not share them. "It's our home. This is where my kids are growing up. You want your kids to be proud of you and the things you do," Amy Gill says. "Two of my kids work here." If not for the Gills' ties to St. Louis, they probably would never have won the bid for Union Trust in the first place. In fact, their offer was well short of others, but the former owners prioritized local connections over maximizing profits. "They actually went without a bunch of money in order to make sure that it stayed in a local family," Amy Gill says. "Hopefully we stir more development downtown. Maybe the building next door gets done," she adds. "I'm really hopeful for the old Famous-Barr building. I think that's when we get the ultimate win situation, making it so downtown is thriving." 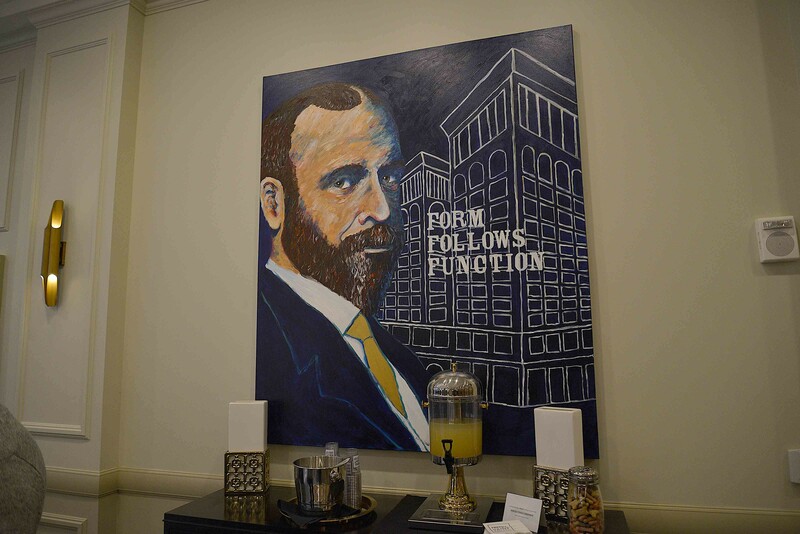 Portraits of notable St. Louisans, including this one of architect Louis Sullivan, were painted by local Fern Taylor. 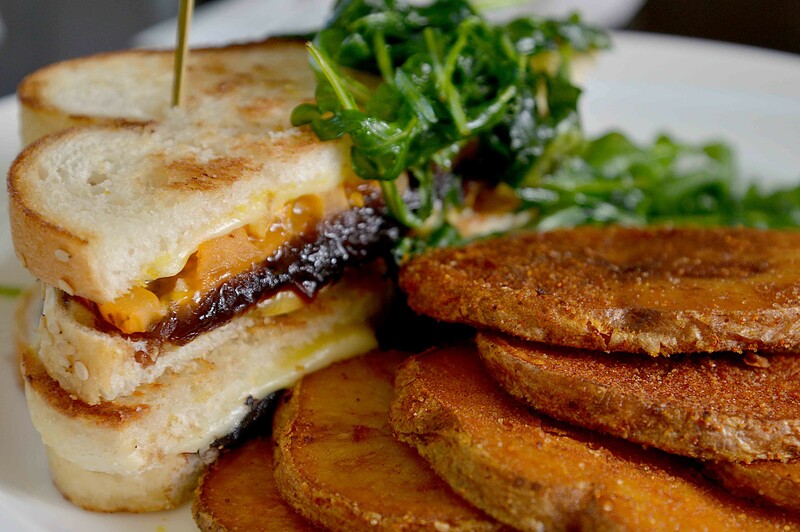 The grilled cheese features three cheeses—including a Himalayan pink salt cheddar. The bar at Union 30. Louis Sullivan was known for his intricate terra cotta designs on the exteriors of buildings he designed. He also designed the Wainwright Building.